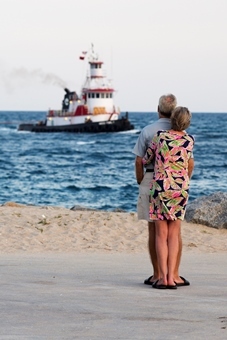 Life is just beginning for many semi-retirees who venture south for a change of pace. With affordable residences available in South Florida, those who are 55 and older can take part in a lifestyle that is involving, intriguing and in-tune with the surrounding area of Palm Beach, Florida. Many senior snowbirds flock to Florida and purchase primary or secondary homes in 55+ communities. These age specific Palm Beach County neighborhoods promote a balanced life full of social gatherings, community service, and all around well-being. Though it feels more like a permanent vacation, the Villagio in Delray Beach is the perfect place for those who prefer palatial, “island time” living. Offering an array of amenities including a state-of-the-art fitness center, grand ballroom and theater, resort-style swimming pool, wading pool for grandkids, lap pool, game room, tennis courts, and even pickle ball courts, Villagio residents are never bored. The community also features a 38,000 square foot Cabana Club and an indoor and outdoor cafe, both curated by its own sous chef. A guarded neighborhood, the Villagio is comprised of single family homes, patio homes, and villas. Residents appreciate the short distance to the crystal blue waters of the Atlantic Ocean as well as the cultural and entertainment venues along Atlantic Avenue in downtown Delray Beach. With a similar concept, Mangrove Bay in Jupiter is a senior living waterfront community located between the Intracoastal Waterway and the Atlantic Ocean. Providing full-time assistance as needed, Mangrove Bay has all the conveniences of the Florida lifestyle plus the security of medical care. Amenities include an outdoor swimming pool, library, game room, dining room, rehabilitation center, and beauty parlor. 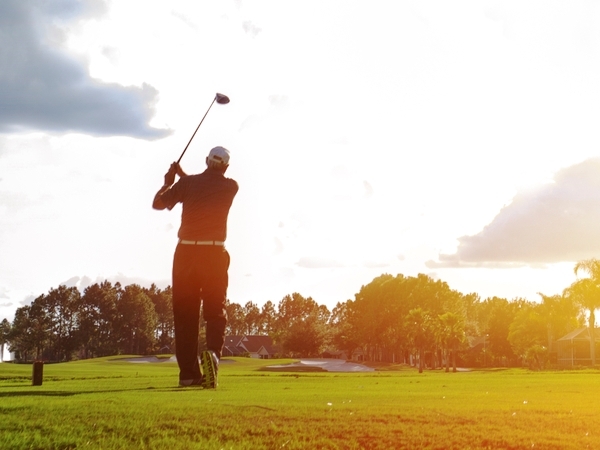 Residents of PGA Village Verano, a Kolter-designed community located on the Treasure Coast in Port St. Lucie, are encouraged to keep their clubs and a few Titleist balls in hand. The gated community features three championship golf courses designed by Tom Fazio and Pete Dye as well as a 35-acre instructional facility, led by top PGA Professionals. Focusing on an active lifestyle, the community also boasts a 13,000 square foot fitness center, Har-tru tennis courts, an indoor lap pool, and a resort-style outdoor swimming pool. Employing its own social director, Verano hosts numerous holiday and special events at its 27,000 square foot social center. Homes in Verano are two or three bedrooms and feature vaulted ceilings, impact glass, and open floor plans. Another 55 and older golf community, Devonshire, is located within PGA National Resort, a gated development in Palm Beach Gardens that features numerous amenities and residential perks. Access to the full-service PGA National Resort and Spa gifts Devonshire residents with the joy of massages and facials. Home of the Honda Classic Golf Tournament, the club houses five, championship golf courses designed by iconic golf legends and architects Jack Nicklaus, Tom Fazio, Arnold Palmer, Gene Sarazen, and Karl Litten. Additionally, the community boasts jogging and biking trails, swimming pools, separate tennis facility with 17 clay courts, fitness center, and numerous dining options. For those seeking more of a downtown lifestyle, Woodland Lakes is ideally situated in the heart of Palm Beach Gardens. Condos at Woodland Lakes are two to three bedrooms and range in size from 1,200 to 1,700 square feet. A perfect location, Woodland Lakes is a short stroll to the Gardens Mall, Downtown at the Gardens, PGA Commons, Midtown, and numerous shops and restaurants along PGA Boulevard. Here, residents enjoy three swimming pools, a jogging bath, and covered parking. Ultimately, 55+ communities in South Florida encourage a lifestyle of purpose, meaning, independence, and camaraderie. NV Realty Group is a leading expert on the qualifications and specifications of senior living real estate. Listing information last updated on April 21st, 2019 at 6:48pm EDT.